This is followed by "...This is where your story ends." This got me thinking, who would I rather see stick around, Eddie Brock or Venom? The more I thought about it, the more I sided towards Venom. To me, the symbiote is Venom and Venom is who I fell in love with so many years ago. AV is a great addition, but he doesn't have the history that Venom does. What do you guys think - If you can only have a comic with one, Eddie as AV or Flash as Venom? Sound off in the comments. "I've learned to love Toxin, too. 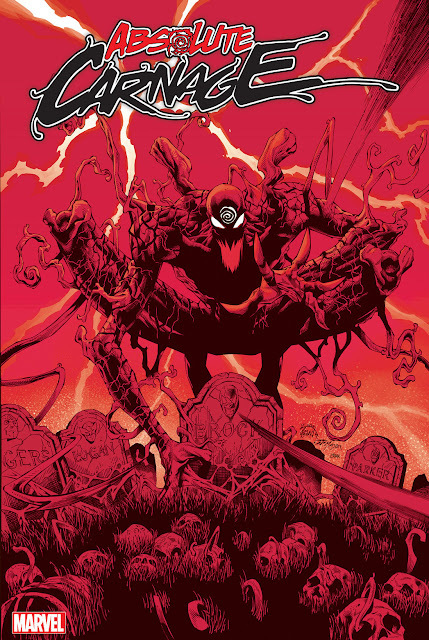 Keep checking out Venom every month as well as the new Carnage USA book in January. I think you'll be happy with our symbiote plans." "...I can tell you that Flash is about to take a MUCH more prominent role in the Marvel Universe."